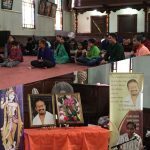 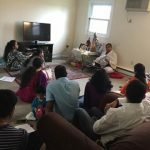 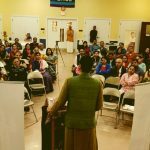 On Sat, Jan 23, at about 10 am, Sri Ramanujamji discoursed on Bhagavata dharma at the residence of Sri Madhan Ramakrishnan in hartford, CT. Devotees from the apartment complex as well as from Boston participated in the discourse. 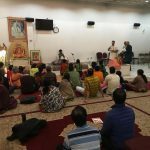 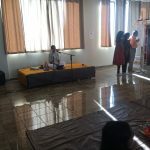 Following the visit of Ramanujamji, a regular weekly satsang (with Nama and study of Srimad Bhagavatam) has commenced at Hartford CT. at 600 Asylum Avenue, Hartford CT every Saturday morning. 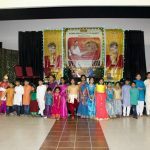 Interested people may contact Sri Madhanji (201 699 2881) or Sri Hariprasathji (860 832 3907).